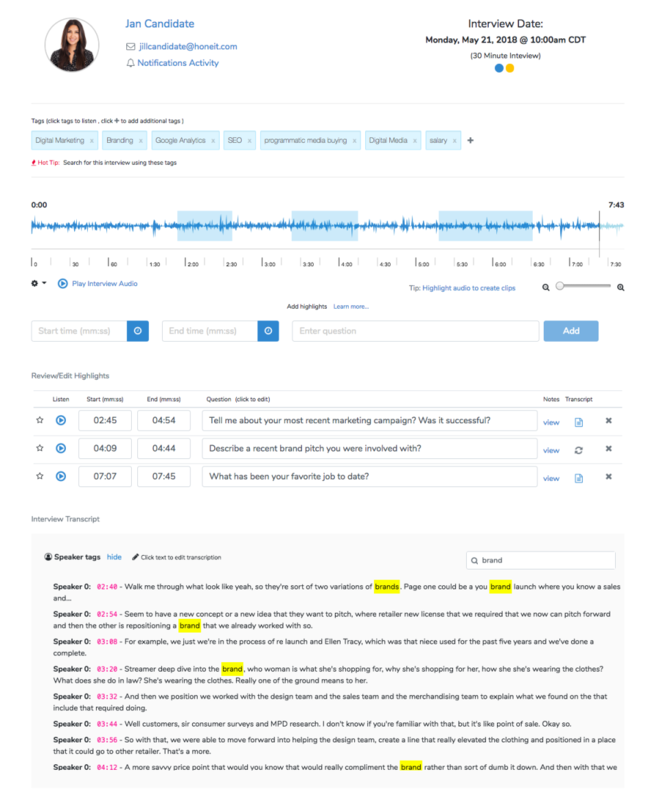 Cloud-based interview platform that automatically turns phone interview conversations into data and insights. Honeit Interview Technology Reviews Recently Reviewed! 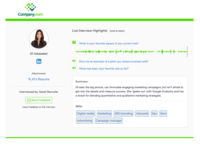 Pros: Enables recruiters to create interview guides, interview candidates via conference call, and time stamp a candidate's answers for easy retrieval later to share with hiring manager. 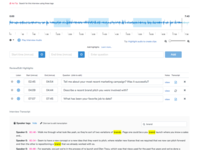 Creates a transcript and recording of an interview. No need to take notes while interviewing. Cons: Calendar synchronization doesn't work with iCal (a nitpick) and sometimes there's a delay after an interview to be able to see the transcript. Overall: Honeit enables me to be a better interviewer (since I don't have to labor with note taking, I can relax) and to present candidates more accurately and effectively to clients (because I have a transcript of a candidate's answers to refer to and pull information).